One World Championship, two European Championships, 17 World Cup wins, 52 World Cup podiums and nine British Championships. 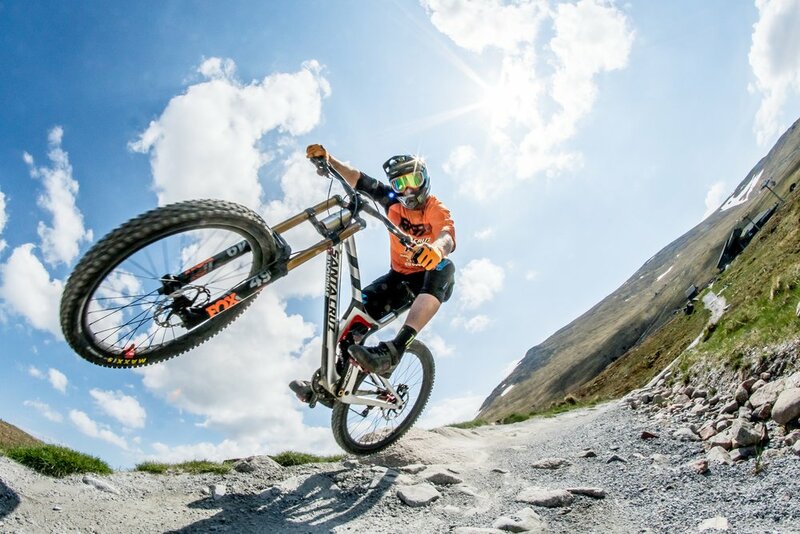 Steve Peat nicknamed ‘Sheffield Steel’ and more commonly known as ‘Peaty’ is a true legend! In his tour ‘Bikes and Beers’ we delve deeper into the man behind the accolades; from plumbing to podiums. Peaty brings along some of his [to die for] winning rides from Santa Cruz and we have it on good authority that these represent a fraction of those he owns. As we like to say, the perfect number of bikes is N (the number of bikes you already have) + 1! Peaty is an unwavering mentor for promising young riders, his passion for the sport has been instrumental to helping upcoming British talent. Yep, there’s a reason this talk is aptly named ‘Bikes and Beers’! Peaty’s partying reputation is legendary and this talk delves into some very amusing backstories. Peaty talks about the people that have helped him throughout his career. High praise goes out to the mechanics who meticulously stripped down and rebuilt his bikes, a task executed with military precision while he was on the racing circuit. That’s right, you can call him Dr Peat! Peaty’s injuries are almost as impressive as his wins. Despite being the most successful male downhill rider ever, Peaty is incredibly down-to-earth and he has never forgotten his roots. He continues to champion mountain biking in his home city of Sheffield. Peaty’s perseverance serves as a reminder to us all that whatever the challenge, ignore the naysayers and never give up! One thing that’s omni present throughout this talk is that it’s as much about the enjoyment two wheels provides as it is the wins… the journey, the people and the sport. 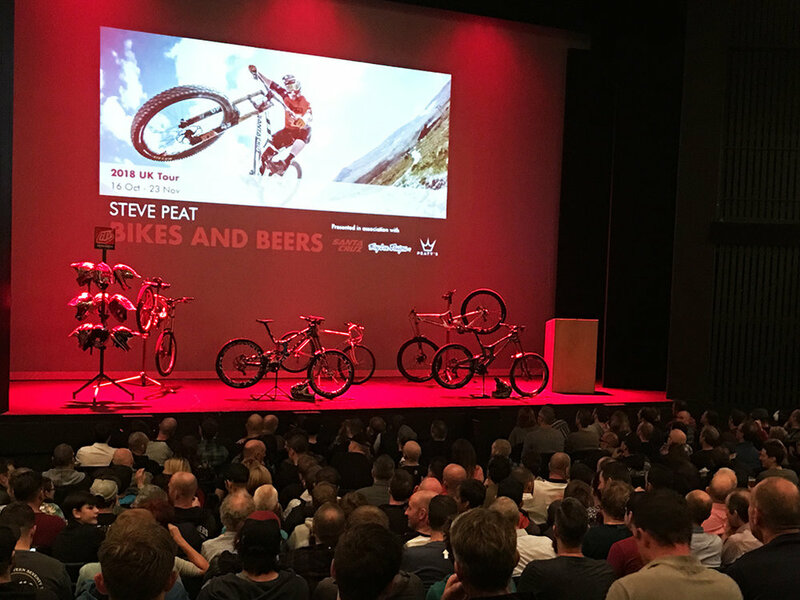 Bikes and Beers is selling fast, to ensure you don’t miss out, head to our tours page to find your nearest venue and book tickets.